All the food in Prince's songs, divided into the 6 main Prince food groups: Breakfast, Fruit, Beverage, Junk Food, Meat, and Dessert. 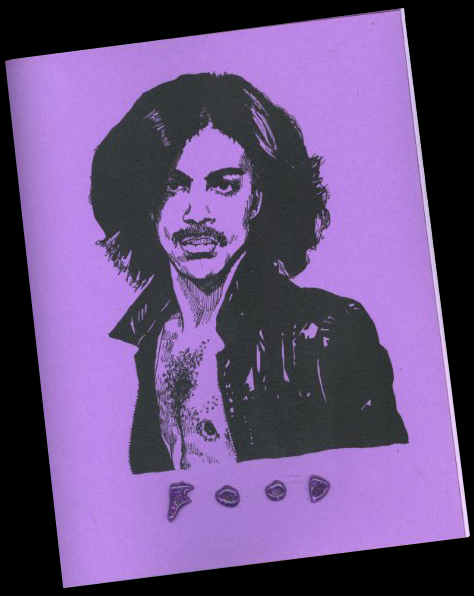 36 pages, laserprint, featuring purple sparkly hot glue gun writing on the cover. Handy index in the back listing food item, song, album & year recorded. Raspberry, Cream, Pancakes, Tangerine, etc.